Metista believes every client is a work of art. We’ll help you transform your body using the art of exercise. You’ll need to get out of your comfort zone to sweat, work hard and watch your body transform into a work of art. Results are the response to effort and hard work. Once we know your goals, we will discuss your nutritional needs and the exercises you need to become the master of your destiny. The mind-body connection is a central focus during training, and we understand this better than anyone. When the mind is calm and motivated, you can accomplish anything. You can find success, but you need to perform the right exercises, increase your activity and use equipment you may hate at first. We’re firm believers in exercise being fun and not dreadful. But you need to put in the hard work no matter how fun the session may be. You’ll also use your bodyweight to perform many of the grueling exercises on your schedule. Running, swimming, kickboxing and other forms of cardio will be added to burn excess calories and fat, too. The results you want to achieve are often hidden under a small layer of fat. It’s time to blast that fat away and reach your goals without the flab covering up your hard work. Your success is our success. At Metista, we know how difficult it can be to make the change necessary to be in true health. 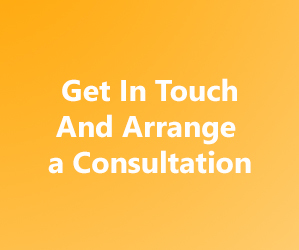 We want you to succeed, and that’s why we offer a free consultation to discuss your goals and how we can help you find success meeting your mind and body goals. Results are slow-going – Metista helps push these slow results along.